Somebody has lied. Who is it? The preachers of many of the regular churches, theologians, professors in almost every university and college, and the man who has not investigated have all said that the days of miracles are past. We contend that the days of miracles are here now, they always have been here, and always will be here to him who hath faith in God. We contend that God answers prayer today as readily as God ever did; and further, that the same faith that has received an answer once will bring an answer from God again; that the same power of the Spirit of God that moved upon the waters and that performed wonders both in nature and in man, both in the spiritual and the physical, is still available. It is here in Portland. It is at work every day. If you do not believe it, come to our healing rooms and observe for yourself. Mr. Adam Streit of St. Johns, Portland, was blind for several years in both eyes. He was ministered to on three different occasions through prayer and the laying on of hands by the ministry of The Church at Portland. He is now perfectly healed and gave public testimony to his healing in The Church at Portland, at 129 4th Street, a few days ago. A most conspicuous case, Mr. Roy Ferguson, head bookkeeper for the State Industrial Insurance Commission at Salem, the state capital, was stricken with tuberculosis of the bone. The disease affecting the spine, he was encased in a plaster of Paris cast and confined to his bed for more than a year. One leg was amputated just below the hip in the hope of checking the progress of the disease, but without avail. He was abandoned to die by his physicians and brought to Portland specialists who said nothing could be done. He was brought to the healing rooms, was prayed for, and God instantly healed him. He is well. He was saved from his sins and baptized in the Holy Ghost and is now ministering this power of God to others and is one of the representatives of our work in Salem, Oregon. Mrs. Mary Evans of Corvallis, Oregon, was deaf for twenty years. She heard of the healing of Mr. Roy Ferguson through friends and came to Portland to visit the healing rooms. She called Dr. Lake on the phone to come to the Multnomah Hotel parlors where, in the presence of a group of friends and others from the city who were present, she was ministered to and was instantly healed and conversed freely with her friends and Dr. Lake. She reported by long distance phone today that her healing was perfect and she will come to Portland in the near future to give public testimony and praise to God in The Church at Portland. I, Harley Day, 189 Mill Street, Portland, 18 years and nine months old, being first duly sworn and realizing fully the solemnity of this my oath, do testify: I was born dumb and was thereby unable to speak, also my nasal passages were malformed so that it was impossible for me to breathe through my nose. I under went six surgical operations on my throat, but was not benefited and gave up in despair. 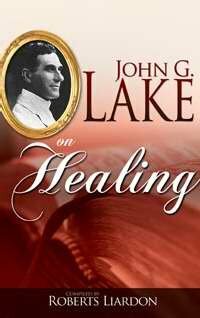 Lately, friends advised me to go to Dr. John G. Lake, divine healer, which I did. Dr. Lake prayed for me at the close of the evening service, laying his hands on my throat. As he prayed, a stream of healing power poured from his hands and diffused itself through my entire person. Instantly something in my throat relaxed and a sense of freedom came upon me. In his prayer Dr. Lake prayed that the dumb demon be cast out. I felt at once that it was done, and in a few minutes I began to speak, and each day I am able to speak with greater clearness. On another occasion, as prayer was offered and hands laid upon me in faith, my nasal passages opened, and I have been able to breathe through my nose naturally ever since. 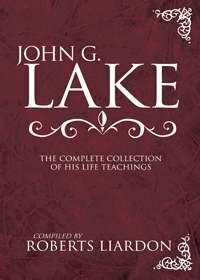 I have become a sincere Christian and am now a member of Dr. Lake’s church and praise my Lord for His saving grace and healing power. Mrs. I S of Council Crest, Portland, a beautiful, cultured, high-class woman, became diseased so that a score of physicians and institutions assured her there was no possibility of recovery through medical assistance. The disease progressed until she was a skeleton, her throat became so badly affected from the disease that her power of speech was almost entirely ruined, and her mind became affected. She was brought to the healing rooms, ministered to, and as prayer was offered and hands laid upon her, the power of God came mightily upon her and the disease was destroyed. There began from that moment a gradual reconstruction of her entire person. She is now in perfect health and soundness of mind, the bloom of wholesome, healthy womanhood in her face, the joy of God in her soul, the peace of God in her heart, and the victory of God in her life. She was baptized in the Holy Spirit and has begun, in turn, to minister the same blessed Spirit to other lives. Mrs. W. E. Stoughton, Portland, Oregon, was sick of double pneumonia, hemorrhaging over a pint of blood at one time. We knelt by her bedside while she was in the very throes of death; and even as we prayed, her heart ceased to beat, her respiration stopped, and she lapsed into apparent death. We continued to pray; nine long minutes passed before evidence of returning life was manifest. We continued in faith and prayer, but in less than twenty minutes another lapse came, this time eleven-and-a-half minutes of seeming death, and yet again thirteen minutes, and then came the final struggle when for nineteen minutes no evidence of life was apparent. We believe that the spirit and body were kept united through the persistent and unwavering faith of those who prayed. At two-thirty in the morning, the glory of God burst from her soul and flooded her with the joy and the presence of God. She was perfectly healed and arose from her bed glorifying God—a well woman. Her little daughter, Beaulah, was healed of cancer of the mouth after surgeons had said the child’s life could only be saved through an operation to remove a portion of the roof of the mouth, which would have destroyed her speech. She was healed through faith in Jesus Christ; not only the cancer disappeared, but she was also healed of leakage of the heart through prayer at The Church at Portland. These signs shall follow them that believe; In my name shall they cast out devils; they shall speak with new tongues; they shall take up serpents; and if they drink any deadly thing, it shall not hurt them; they shall lay hands on the sick, and they shall recover.